Why did I give this film 2 different ratings? I did so because I am a slightly biased source, as I read and devour Suzanne Collin’s Novel. The fact is though the Gary Ross nailed it. He made a film of the book. He didn’t change anything important. 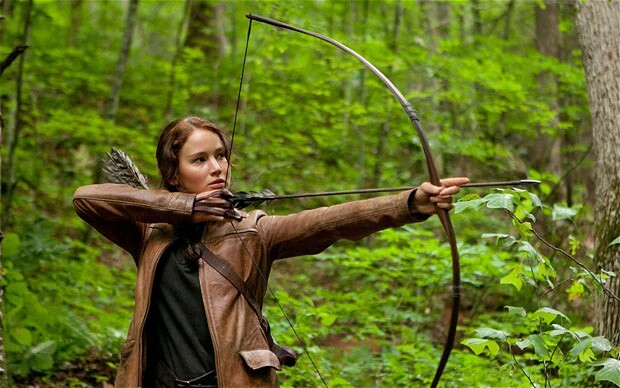 The Hunger Games tells the story of Katniss Everdeen. I have to stop right here. Jennifer Lawrence deserves an oscar nomination…and she already got one for the utterly amazing Winter’s Bone. She went far above and beyond the call of duty for this part. See, the book was written in the 1st person all the way through, essentially stream-of-conscious. Normally, this means a lot of voice over. Not when you have Lawrence. She can LOOK the words. I don’t need her to tell me what’s going through her head because she’s talented enough to make me feel it. She was hand chosen by Ross and Collins, the latter of whom said that of all the people who auditioned for the part (i.e. Abigayl Breslin (little Miss Sunshine), Saeorse Ronan (Hanna), Shailene Woodley (The Descendants), among others) that, “She was the only one that I would follow into battle.” And tthat’s coming from creator. Liam Hemsworth – while his performance was very much satisfactory – I am not thrilled about his appearance as – to me – he looks a bit too much like Twilight.